Totally tote-able in six fun shades with colour-matched packaging. M.A.C's lightweight whipped formula adds dense volume, extends length and creates curl while conditioning for softness and flexibility. 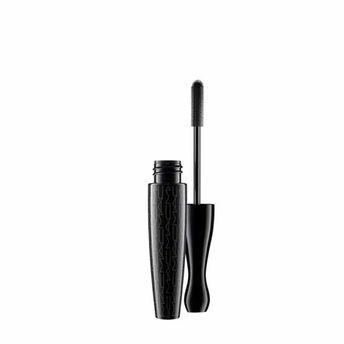 The gigantic moulded brush stores the optimal amount of mascara in three reservoirs that allow for the maximum amount of mascara with each stroke, while keeping the lashes from clumping together. The tip of the brush allows for precision in accentuating lower lashes and small hairs at the corners of the eye. It contains ultra-mini fibres that weave in-between lashes, adding instant volume and length. The final result: extreme dimension that won't smudge, clump or flake. About the Collection:Introducing cute travel-size versions of M.A.C Cult favourites.With Little M.A.C, selection of your favourite products is now available in mini sizes.Try a pop of colour sans the commitment with new mini Lipsticks, Lipglasses and Pigments in bestselling shades.Keep your face cleansed, refreshed and hydrated en route with Demi Wipes, Prep + Prime Fix+ and Strobe Cream. These new M.A.C. travel-size favourite products, totally tote-able in mini sizes and handy, will surely make you fall in love with them all over again! Alternatively, you can also find many more products from the In Extreme Dimension Lash Mascara / Little M.A.C range.